Here’s the absolute classic four prong bracelet! It features a fabulous strand of diamonds, set in your choice of gold or platinum, and looks simply amazing with any outfit. The stones are prong-set round diamonds. 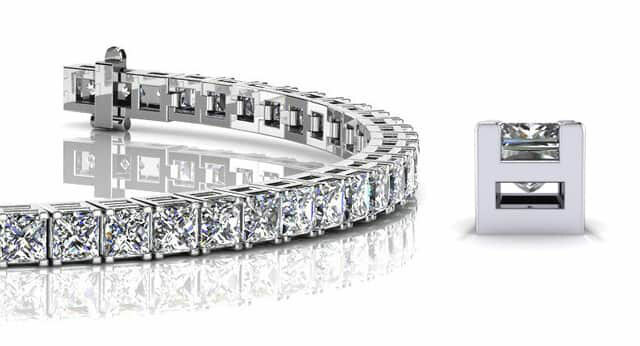 We love to give our customers options, and this bracelet is no exception! It’s available in an incredible 9 different sizes, ranging from 2 carats to 21 carats total diamond weight. 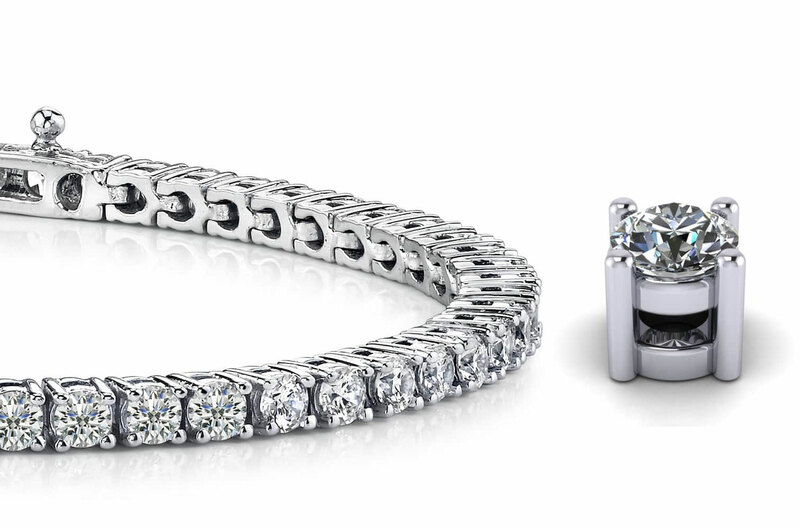 Every woman needs a classic four prong bracelet in her jewelry wardrobe – and this one’s a timeless treasure! Stone Carat Weight: 66X0.030 ct.